I found this post in my drafts. I’d written it a couple of months ago. 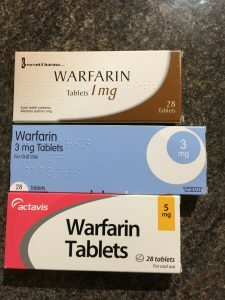 I am no longer taking Warfarin, but a new drug. I am still going to the gym though and have lost 1st 3.5 lbs in weight. Recently, through chanting Nam Myoho Renge Kyo, I determined to change my eating karma and lose weight. 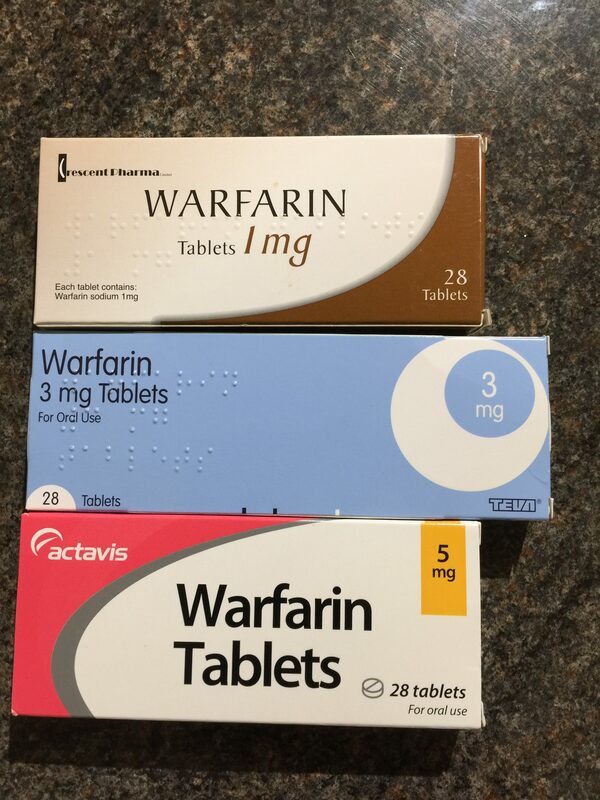 This declaration of intent was partly because of a second pulmonary embolism and the subsequent need to take anti-coagulants for the rest of my life – I am now on Warfarin. For the uninitiated, Warfarin, as well as being rat poison, makes you bleed more easily. Ridiculously, since I have been on the medication, I have tripped and fallen three times (I can’t remember anything about the first fall now). It might be true to say that the Mystic Law intervened to protect me when I had the second two falls. Because of my tablets, and because it makes me fat, I am told to drink only in moderation – well that should apply to us all but I’ve never been a great one for listening to advice on what is best for me. To paraphrase the doctor or at least to translate to something more acceptable to me: Ideally don’t drink, but if you must drink then don’t fall over. The occasion was a funeral wake. The deceased was a lady of nearly 101 years, and her demise was not a shock so there wasn’t an enormous amount of sadness. We all sat in the garden, and the sun shone. 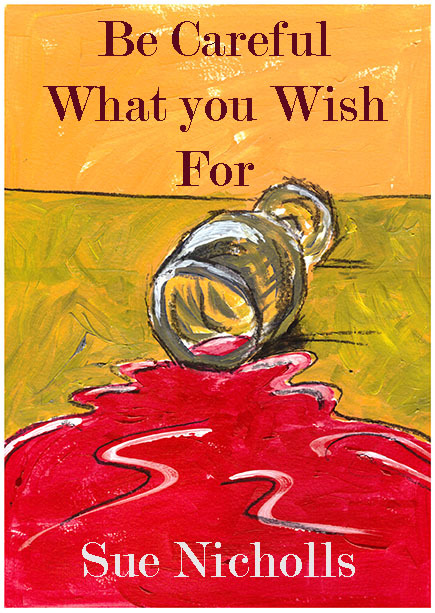 Children played, wine flowed and I, who was ‘trying not to drink too much’, accepted a large glass of wine. Later I agreed to a top-up, and when a second top up was not forthcoming and the alcohol had its grip on me, I decided to help myself to a third glassful from the fridge in the kitchen (hangs head in shame). 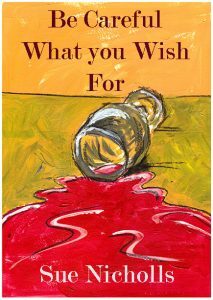 I jumped from my garden chair and hastened to the doorway, whereupon I tripped on the threshold and pitched head first onto the kitchen floor. My glass shattered and everyone rushed to my assistance as I lay, winded and prone (prone to accidents, ha ha). This fall was clearly intended by the Universe, to help in my quest to cut down on my drink. It did. I had the only big glass in the house so I had to move on to a smaller one (boom, boom). Also, I had forgotten to take my Warfarin the evening before so bleeding was not such a danger. Since that fall and not because of it, I have joined Mince Monde. If you read this blog regularly you will know that I have run the gauntlet of diet writers and organisations since I was about 16, so I’m not going to reiterate my much repeated determination that this time it is for life. Anyway, my membership of the slimming organisation is free, thanks to my local NHS authority, who want to help the overweight for, I assume, preventative reasons. Not only have I received 12 weeks free at Mince Monde but am entitled to 3 free sessions with a personal trainer and reduced rates, at a local gym – also for 12 weeks. Tried to find the source of this image. Thanks to this website https://www.nationoflights.com/the-shift-blog-2017/2017/11/20/ohhh-the-rat-race-i-am-in-and-the-greater-understandings-thru-it and also this video maker https://veblr.com/watch/361d909a7938/rat-gym-workout-most-funny-video?lang=mr. Many thanks to its creator. The gym was the scene of my next tumble. I started my exercise session on the cross trainer. After the recommended 5 minutes, and breathing a little more heavily, I dismounted and headed for the weights. Sadly, I failed to notice a small step down from the area where the cross trainers and treadmills sat, and crashed to the floor. There was more concerned rushing to help, with suggestions that I sit for a while and drink water. ‘I’m absolutely fine,’ I insisted, oh my ego, and scuttled off towards the location of my next activity, round the corner, to examine the damage. I had bashed my knee, and my shin had landed painfully on the edge of the step, but I was still standing. I did worry a bit about the potential size of the bruise, and the impact on my already over-worked knee. Amazingly, when tested the following day, my INR (clotting rate) had dropped to 1.8, too low. I had been protected again. I hadn’t made the connection before but I started falling over in November 2015, see this post. I think this was about the time when I had my varifocals upgraded because my eyesight had become significantly worse (sigh). I insist that alcohol and age were not factors.